You might have been going through the park and seen Ranger Rella at the dredge. Then you might have seen Ranger Miranda on the trails and continued on your way only to be surprised to see ANOTHER ranger walking through the park. No, your eyes are fine. You’re not seeing triple. 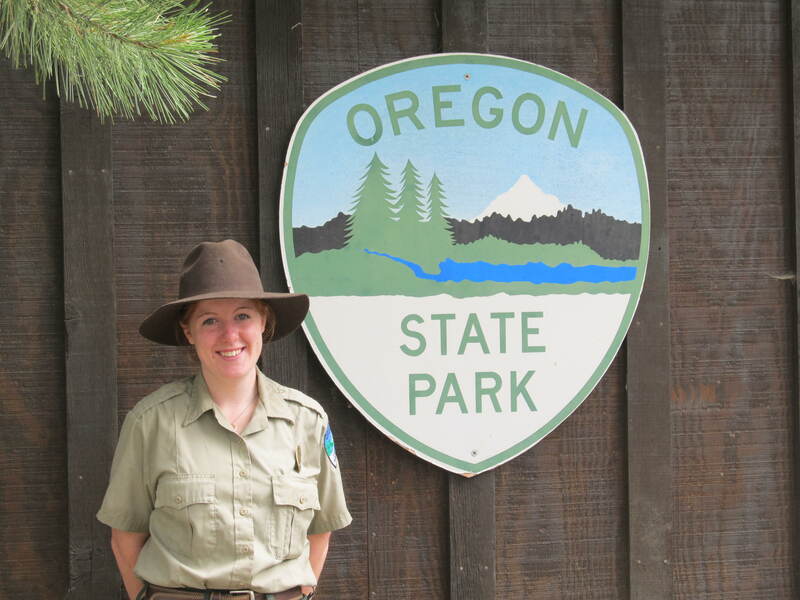 Meet Sara Holloway, our interpretive naturalist! 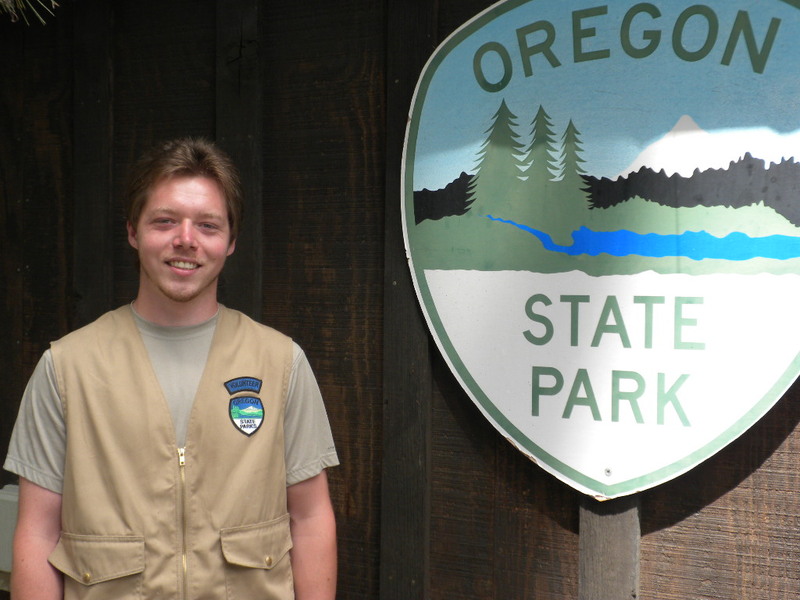 Sara comes to us from La Grande with a background in Geology and a love of the outdoors. She will be with us till the middle of September and has been working hard on park projects as well as developing new programs for the park. Sara is accompanied by her fiance Jim Ramos who has also volunteered to help with park projects this summer. Much of the trail maintenance that has been completed in the last couple of weeks has been thanks to his efforts. Be sure to welcome them both to the area next time you see them in the park! Thank you! It is so nice to be here. We are really enjoying the park, the town, and all the wonderful people!